From our founding year of 2005 we'll add one year at a time. We hope this page is of interest to our clients and enquirers. It's also a chance for us to show some different photos. Let's begin! 2018 sees a few changes in the team. Steph Ward joins in January and Rachel stays with us for a second Summer. It proves to be our busiest Summer so far, run by Chrissie, Lucy, Ollie, Rachel, Steph and Simon. Then in August we say goodbye to Chrissie, after 8 super years; Chrissie joins law firm K&L Gates. Thank you Chrissie. 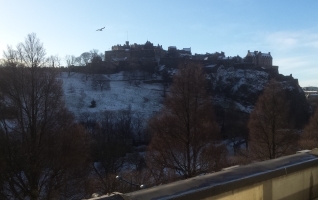 Rachel goes to Aberdeen to start a Masters degree and in November we are joined by Hannah Wright. We expand across Norway! To add a long-distance trek, we walk from Lillehammer to Snohetta. Pete covers the self-catered hut section as far as the Rondane, Simon walks the Rondane and Ollie walks Northwards to Snohetta. Suze follows on this Northern section, while Joy is in the area much of Summer. Suze and Steph between them cover the Hebridean Way, our plan for a new trek in the Scottish islands. There are side routes to fill in on the Alpine Pass Route: with Bern as a base, Simon takes trains across Switzerland. We add short sections above Egg, Grindelwald and Les Diablerets. 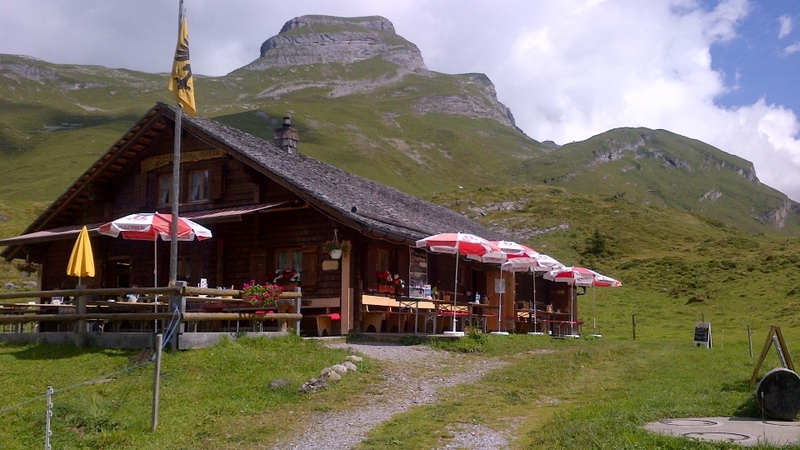 Later in June, Pete treks the Eastern section to Engelberg. Still in Switzerland we complete the scenic train line from Zweisimmen to Montreux through Gstaad and Chateaux d'Oex. A separate line travels North through Gruyeres, the village in cattle country from by where the cheese comes, to Fribourg. Moving down the scale from Swiss cities to medium-size towns is been a revelation: Friburg's old streets flow down to the river gorge. A heavy Alpine Winter suggests a tricky start to the Summer but in fact the melt was rapid: May and June are consistently hot across Europe, including Norway and the UK. Our seasons therefore start without difficulty. 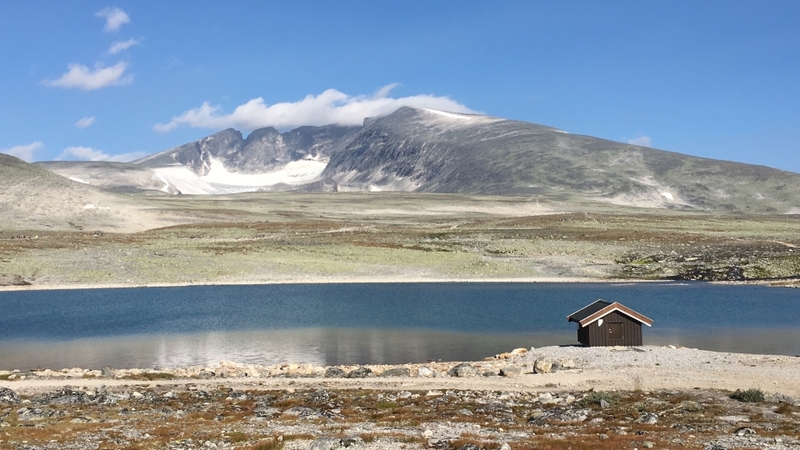 In the Jotunheimen the snow had simply been evaporating in the heat: they are a month ahead in late June. Our 2017 Summer intern is Rachel Law. It's a second Summer tight for space in our office! We are Chrissie, Lucy, Ollie, Rachel and Simon. We add Norway to our program! Our first season will be Summer 2018. Across 4 trips in Winter and Summer 2017, we grow to love the Norwegian mountains. 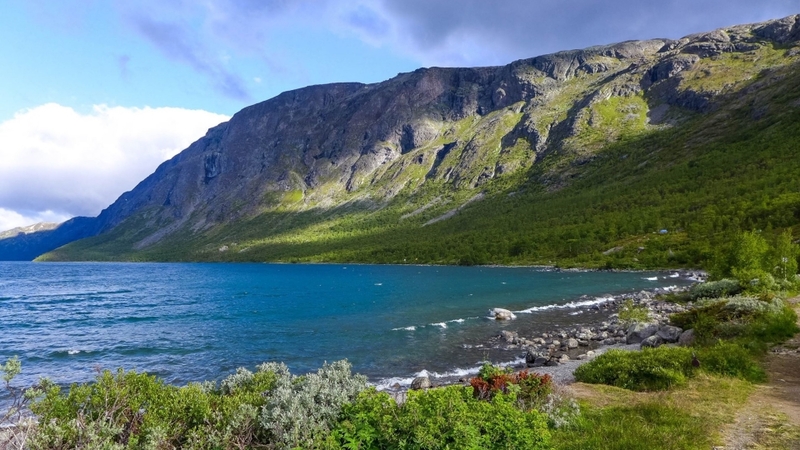 Our trekking is in the Jotunheimen region, roughly in the centre of the substantial part of Norway to the South of Trondheim. 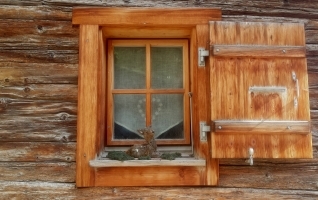 Our trekking takes us to tranquil and beautiful huts, simply and efficiently run. In Switzerland, Pete and Simon between them complete the Alpine Pass Route. This gives us the full route to offer in 2018. Pete visits the Lechtaler mountains to the South of the Adlerweg. We look for huts that would support a good variant to the Adlerweg West: however, the terrain and gradings prove unpredictable. In visiting Switzerland, Lucy, Rachel and Simon spend nights in Lausanne and Bern. Simon spends two nights in St Gallen, the university city in the North East of Switzerland, while visiting the Eastern stages of the APR. The end of Summer 2017 was more noteworthy than the start, a wave of cold and wet weather covering the Alps from the start of September. This laid down snow on high passes that would stay until October. Suze Connolly joins us for the Summer. The team for the season is Chrissie, Lucy, Ollie, Suze and Simon. In June 2016 we look at the Alpine Pass Route in the stretch from Meiringen to Murren. 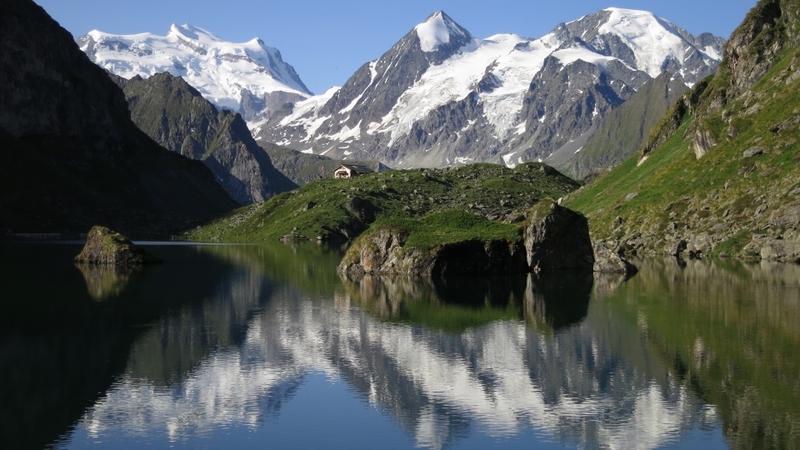 This is an East to West trek across the Swiss Alps. 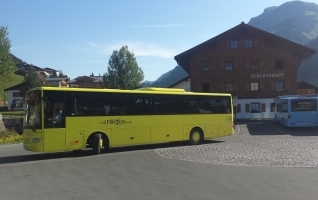 Crucially the route crosses the Bernese Oberland, the region containing the Eiger and the villages of Murren, Wengen and Grindelwald. This is as Swiss as it comes! 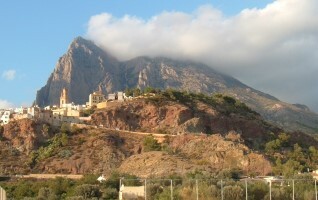 The style of trekking is similar to the Walker's Haute Route, being a series of daily crossings into the next valley. Simon visits the Wengen area in Winter, riding the trains on a ski trip. 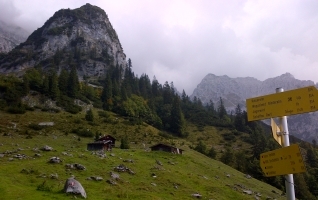 We visit the Alpine Pass Route twice again in September extending our route from Meiringen to Kandersteg. 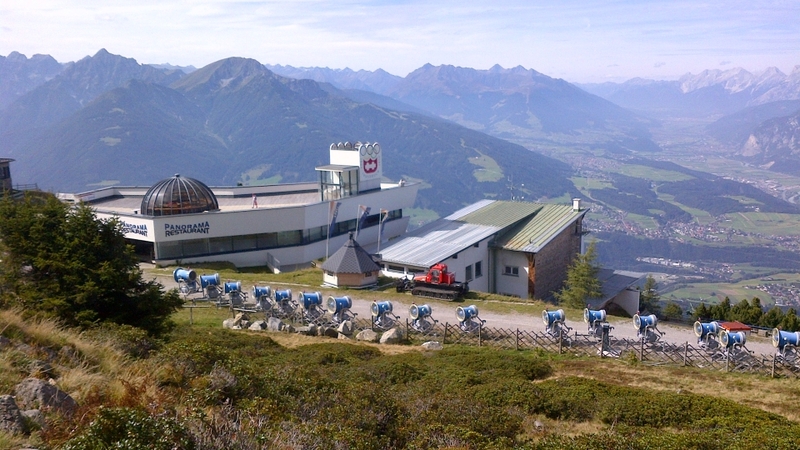 In Germany and Austria we add our Zugspitze Tour, a circuit from Garmish-Partenkirchen. This becomes a short new trip in our 2017 schedule. This German side of the Alps is full of opportunity. 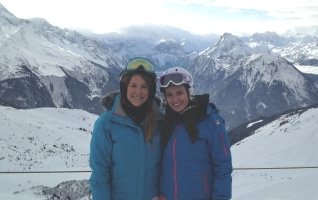 We cover various Austrian ski areas in Winter, from St. Anton to Zell-am-See. Pete looks at variations on the Adlerweg as part of his overall recce, plus the Julian Alps, and Suze treks the Alta Via 1. We monitor the passes and report on a slightly snowier start than usual to the season. 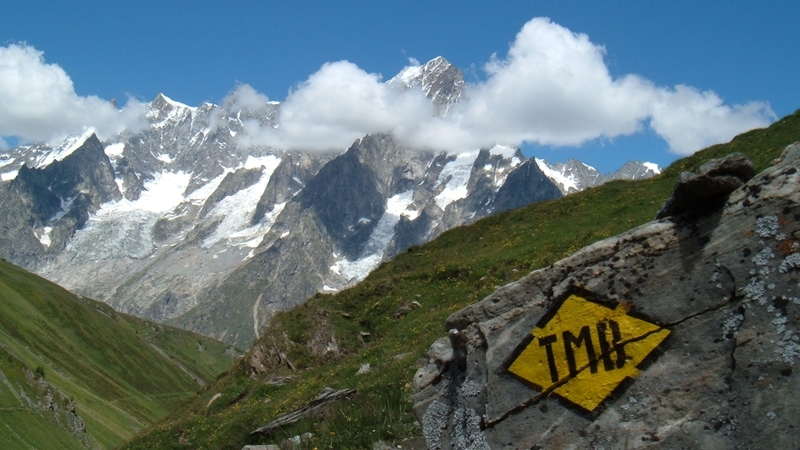 On the TMB the traverse of hillsides between Col du Bonhomme and Col de la Croix du Bonhomme is a place where snow often remains in early Summer. On the Grand Col Ferret between Italy and Switzerland, snow fields linger on both sides of the col.
Lucy begins 2015 on skis, taking charge of a chalet in Val d'Isere, France. 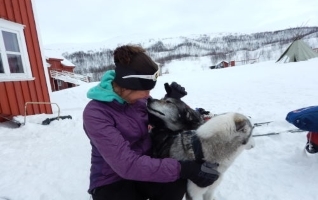 Lucy rejoins us in May. In April we are joined by Ollie Boyd. Our first Summer in Edinburgh is run by Chrissie, Lucy, Ollie and Simon. We are glad to make Austria the focus of our Summer research, in 2015 as in 2014. On our August trip we complete the link to St. Anton and thus offer the full Adlerweg. 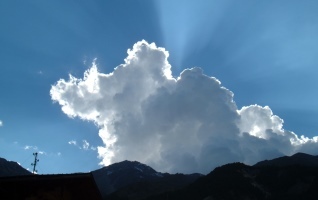 In September we return to the Tyrol to look at the Zillertal area based in Mayrhofen. 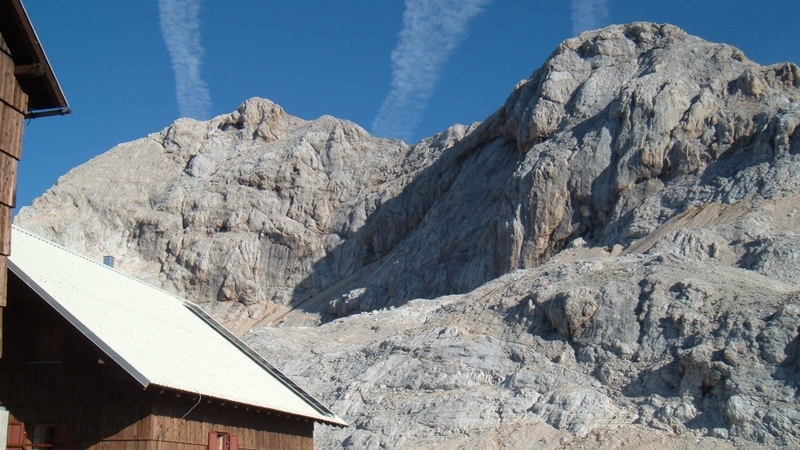 In the Julian Alps in Slovenia we research and introduce a new base, Kranjska Gora, to the North of the range. 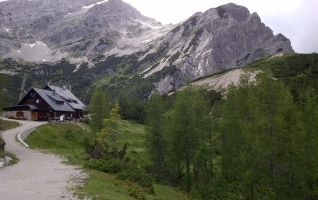 This gives a linear trek between Kranjska Gora and our first base, Bohinj in the South. June and July 2015 see team members checking out variations to our Tour du Mont Blanc and Walker's Haute Route routecards, adding small sections. The ongoing aim is to make the routecards as easy as possible to follow while keeping an eye on the best variants to the main route. In June we add some alternatives to the Adlerweg above Innsbruck. 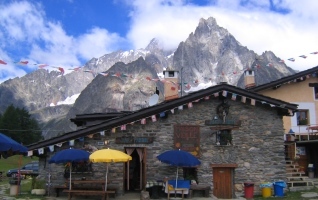 The Winter is relatively light in the Alps and the Spring is wet and hot, the perfect combination. Our seasons start easily and without major considerations of snow. The years 2006 to 2013 are coming soon! 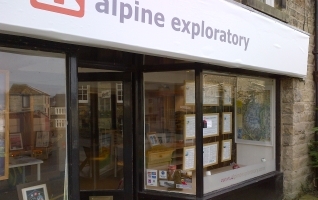 Alpine Exploratory begins life in July 2005. We register the company, make the website live, and place a first advert in Trail magazine. This point comes after 6 months of traveling for Simon and the steady evolution of the idea. A Winter in the Alps and a Spring in the UK and Spain give plenty of chance to think, plan and think some more. Simon and Ailsa form the team for Summer 2005. We start small! The Alps experience a snowy start to Summer. Our recces in June meet plenty of snowfields that we won't see at the same point in most years afterwards. Please email us at info@alpineexploratory.com to chat about a trip. We'll be glad to give you details of any of our routes. Thanks!